EK Productions is a sole proprietorship that provides a variety of pedagogical and writing-related offerings. Based in Colchester, Vermont – EK Productions has been active for the last ten years offering a variety of services related to instruction and pedagogy. We have successfully created dozens of programs of study for such companies and institutions as Gardener's Supply Company, Colchester Parks and Recreation, The Burlington College Independent Degree Program, The Quarry Hill Club, and The Vermont Refugee Resettlement Program. Areas of instruction have included the bettering of workplace writing, the study of journalism and literature, the learning of English as a secondary language, and even the pursuit of the modern game of tennis. The variety of pedagogical programs that are generated by us is evident. If you are looking for a program of self study or searching for a new direction for your small company to begin honing a specific skill, then please contact us and we will be able to tailor the right course of study for you. Courses of study tend to be focused on a blended approach of both classroom and web applications. Our pricing is consistently affordable since our blended approach is able to keep production and technology costs low. EK Productions is always available to provide a quote for possible instructional packages. Feel free to contact us at ErikKaarla@hotmail.com. We look forward to hearing from you!
. Initial appointments are always free of charge. EK Productions provides writing and pedagogical services in both English and in Finnish. We will create your business or personal document and offer design, content and instructional input. EK Productions also provides academic research services and life education services. It is our pleasure to help you master your learning process. Our goal is to consistently keep you on the right road for as far as the eye can see! 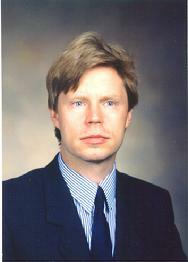 Erik Kaarla is an English and research instructor and professional educator living in Colchester, Vermont. He has performed research, editing and writing services for Gale Group, a division of Thompson specializing in literature. Currently he designs pedagogical programs in addition to providing instruction for students of all ages at a number of local colleges. He is licensed to teach high school English in all states that have reciprocity agreements with Vermont. He may be reached at (802) 660 - 0699.